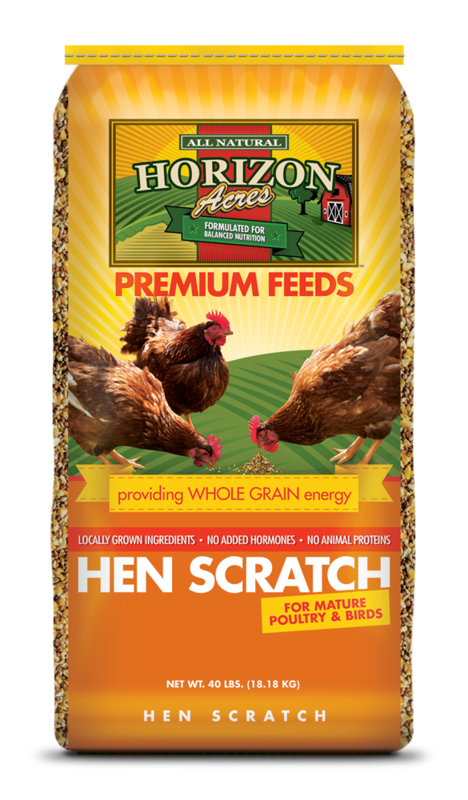 Our new, Non-GMO hen scratch is free of genetically modified ingredients, hormones and medication. It is a blend of cracked corn, soft red wheat, milo and soybean meal. These nutritious whole grains make a great treat, especially to encourage chickens back into the coop at night, and also provide a natural energy source. 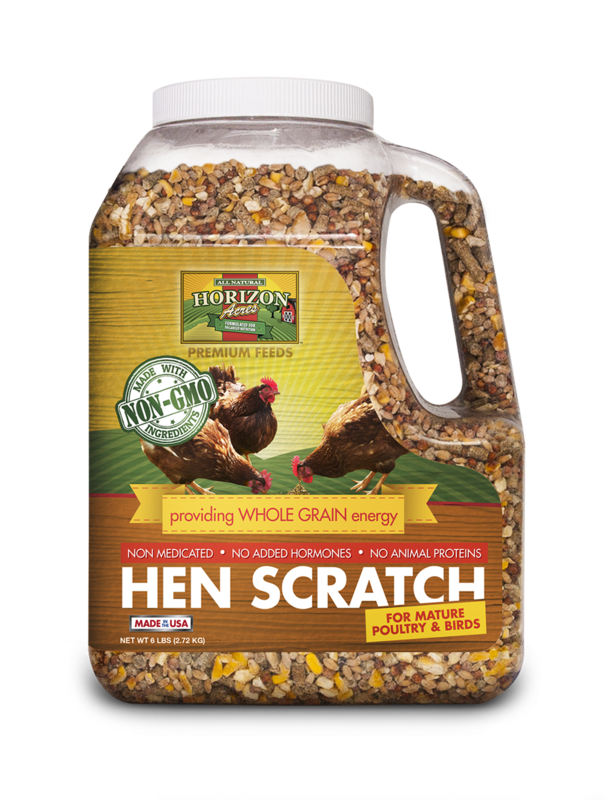 Hen scratch encourages your chickens’ natural foraging instincts as well, resulting in a happy, healthy bird. It conveniently available in a 5lb jug. Our hen scratch is a blend of cracked corn, soft red wheat and milo. It is designed to be fed in addition to Horizon Acres Layer Crumbles or Pellets to chickens and gamebirds 15 weeks and older. It is not a complete feed. These nutritious whole grains, grown by Midwest farmers, make a great treat, especially to encourage chickens back into the coop at night. It also provides a natural energy source and encourages your chickens’ natural foraging instincts to make your birds happy and healthy. It’s conveniently available in a 50lb bag or a handy 3lb jug.